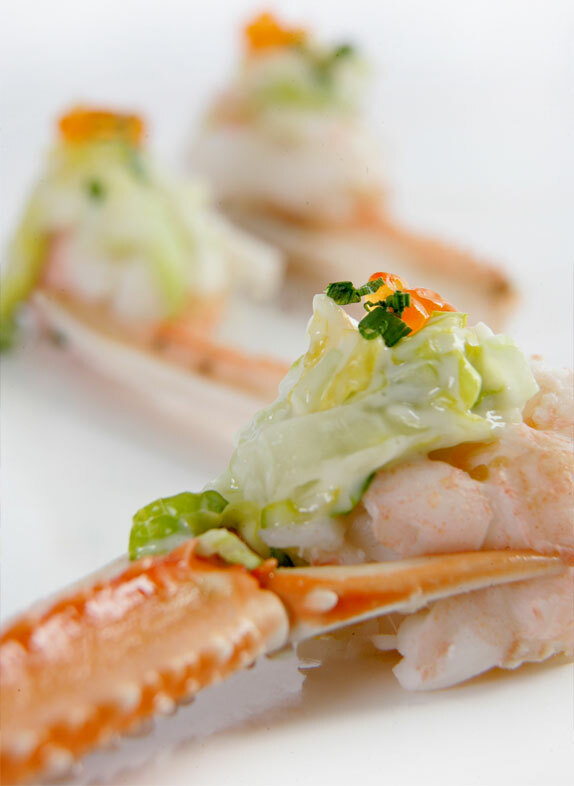 The Admirable Crichton has delivered the highest quality catering and event design in London, around the UK and internationally since 1981. 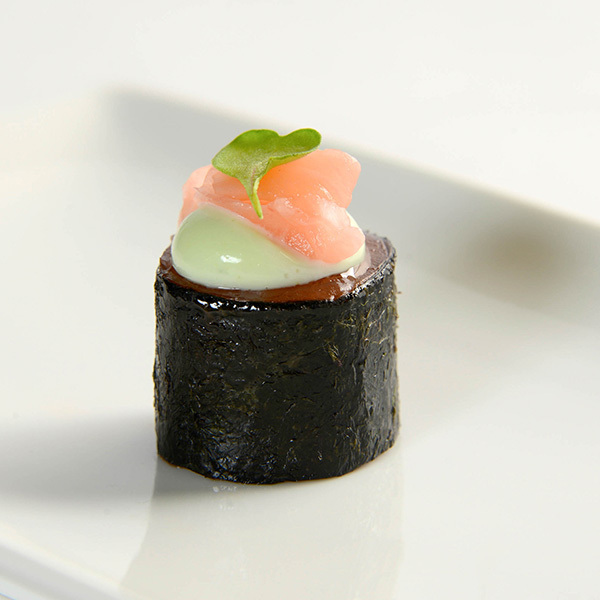 Over that time, we have served millions of canapés to discerning guests. 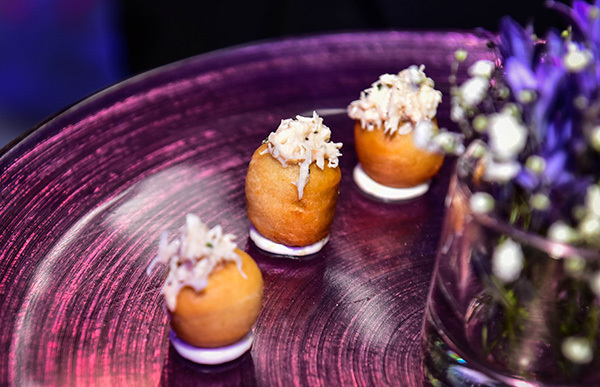 Because the quality of each canapé needs to be of the highest calibre, only the best ingredients are selected, adhering to our policies for sustainability and provenance, ensuring that each bite is mouthwatering, impressive and served with panache and style. 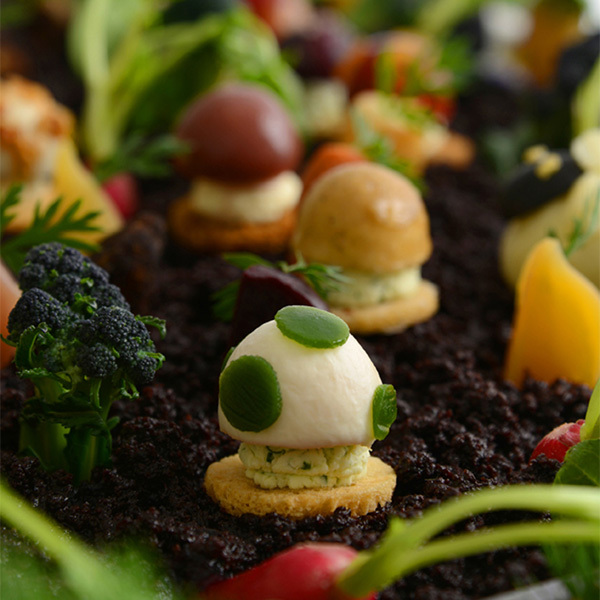 Each season our Head Chef works in collaboration with our Development team to research, design and create a full range of canapés to suit a variety of tastes. Their inspiration comes from diverse sources; restaurants, leading chefs around the world, styling, architecture and fashion. 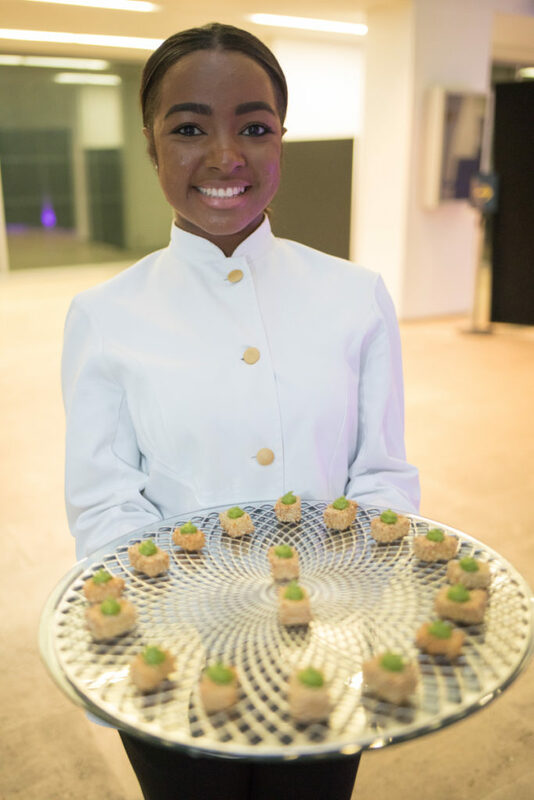 For themed events or those with a specific style, our team can create bespoke canapés as well as designing trays to compliment the look and feel of your party perfectly. Living in today’s world causes many of us have a variety of dietary needs, either for health reasons or personal choice. 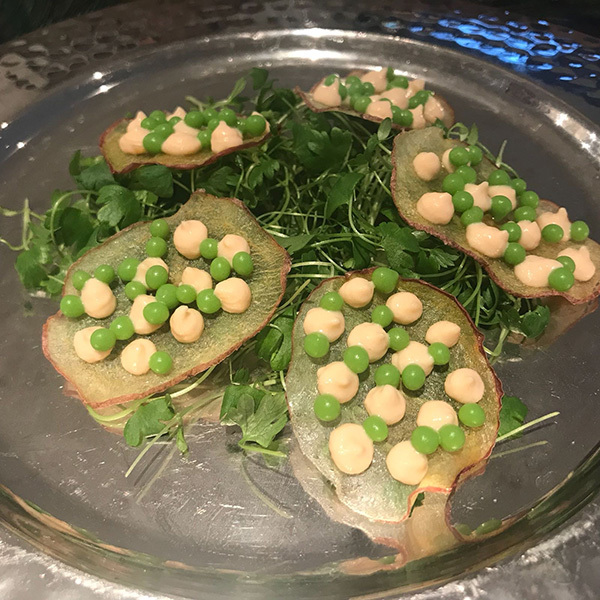 We have always provided vegetarian and vegan dishes on our seasonal menus and our Head Chef also prepares gluten free and kosher friendly options, and take great care to obtain in-depth knowledge of the allergens present in our dishes. Each item is carefully crafted to ensure those with dietary restrictions never lose out when attending an AC cocktail party, lunch or dinner. 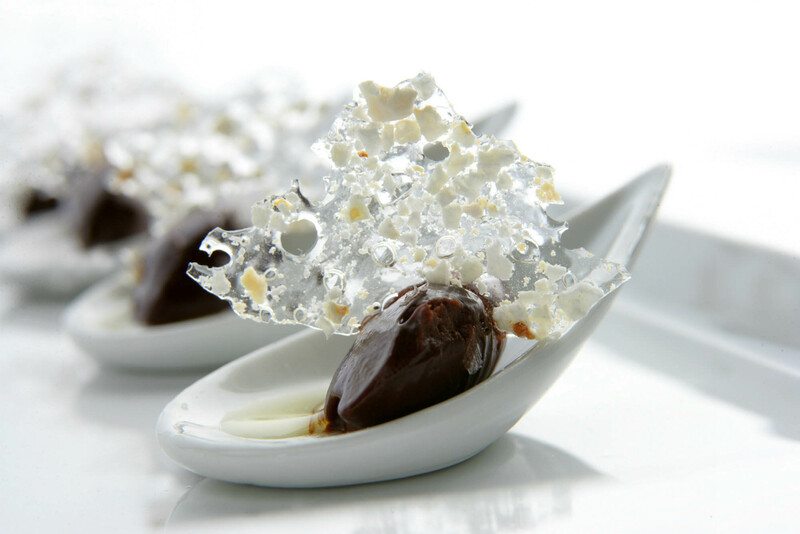 It is said that we eat with our eyes, so each tiny morsel must not only be an explosion of flavour, but a mini work of art, which clients often refer to as ‘little bites of heaven’. 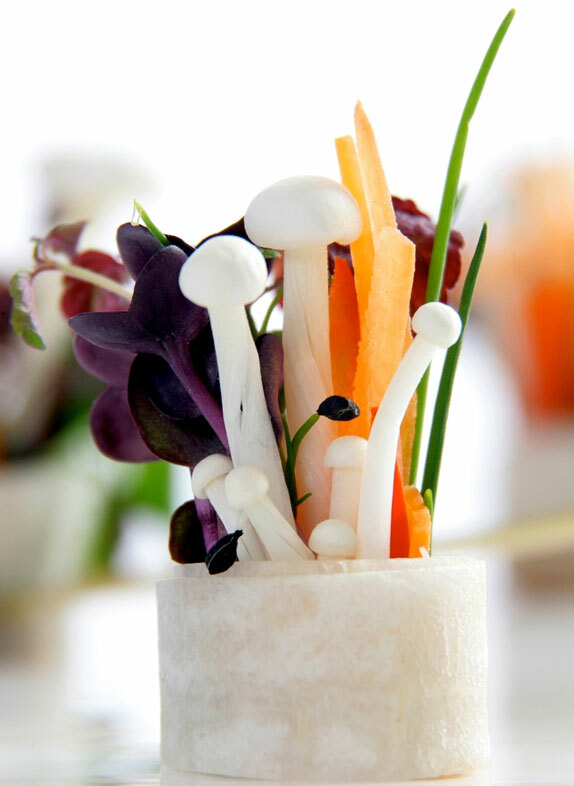 Our chefs painstakingly build each canapé to ensure the first is as perfect as the 4000th. 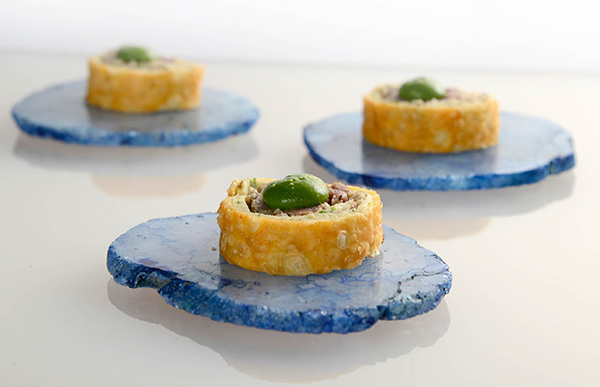 New innovation is vital every season, so we travel yearly to Paris for inspiration for new canapé trays. 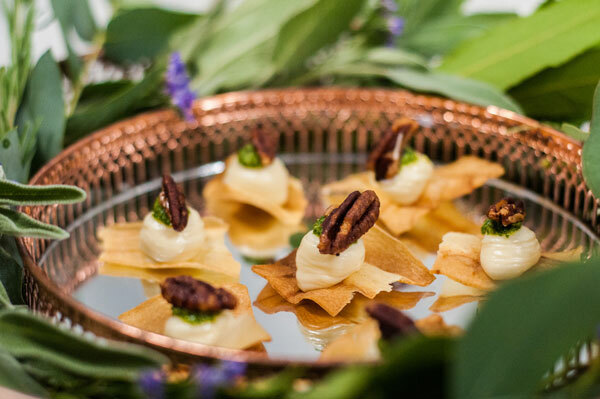 Gone are the days when a plain white plate or black slate will suffice, although they sometimes make a stunning backdrop for an exquisite array of tempting canapés that speak for themselves. 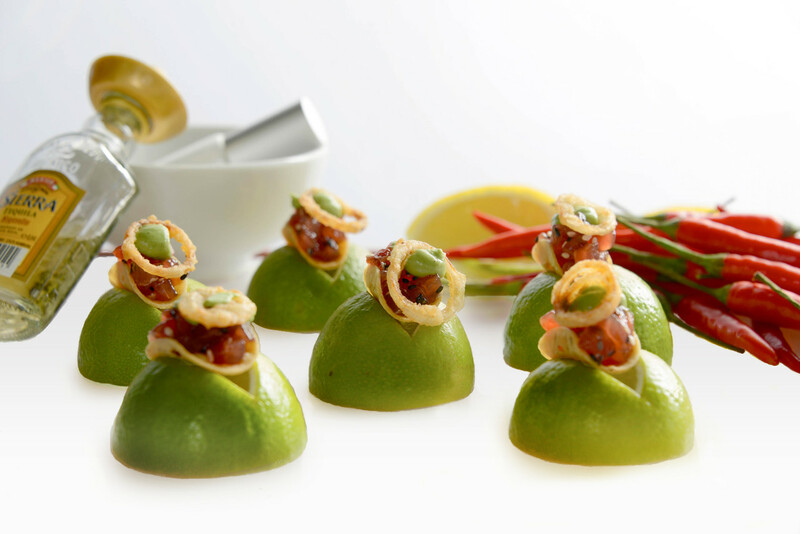 Many of our canapés and canapé trays have such an iconic look, they have been copied by competitors all over the world. On occasions, individually designed trays are required and we had fun creating bespoke trays to make a real impact for a New Year celebration party. We had a great venue to work with, the beautiful Thames-side, Westminster Boating Base. 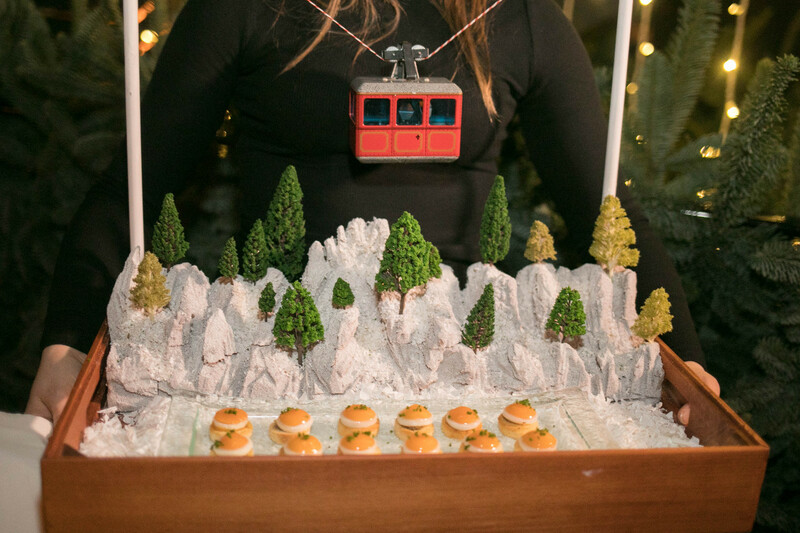 Here we wowed the client and guests by transforming it into an après ski chalet and arranged to have trays designed to fit the theme. Our highly trained, attentive, staff look after every guest using our mantra, ‘visibly invisible’, which perfectly describes the style of service we offer – discrete attention whenever it is required. We are happy to tailor our staff uniforms to the style of your party, white or black tunics, with buttons to match the décor. For more relaxed parties, you may choose to dress them in cocktail dresses for the girls and trousers and shirts for the boys, or perhaps ski hats and jumpers. In the past we have dressed our staff as angels, devils, animals, war-time folk and children and their uniforms add an incredible twist to the event. Our Executive Chairman, travelled to the famous Champagne producing town of Reims, France to find an outstanding, AC branded house Champagne. He found the perfect blend on the Janisson estate. It is affordable, has incredible provenance and is a unique offering and we are very proud that it has beaten several top brands during blind tastings. The blend of 70% Pinot Noir and 30% Chardonnay is stored in oak barrels for over 30 months to achieve a unique structure. 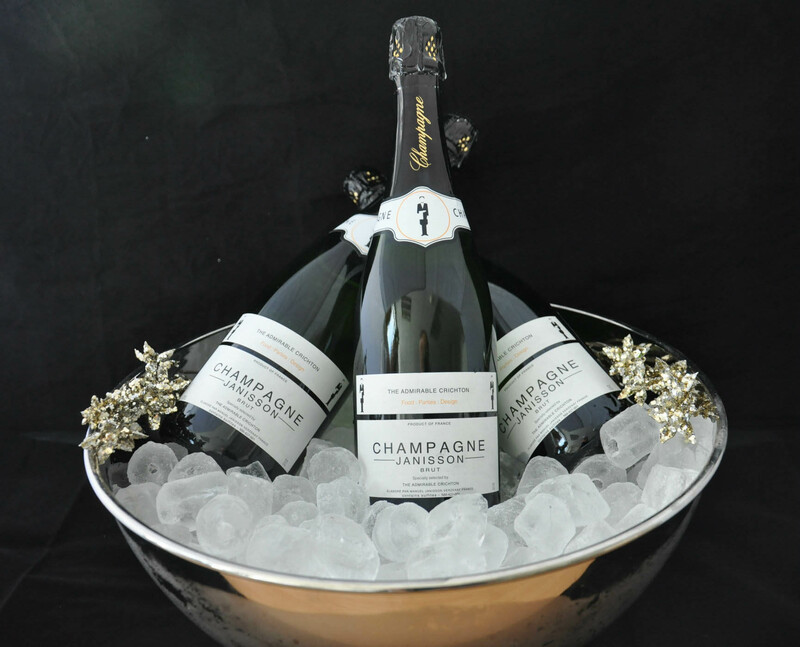 The softer, velvety tones of the Chardonnay, together with complex and freshness of the Pinot Noir, the provide long-lasting bubbles, depth and feel of a vintage quality Champagne.